If You Give a Mouse a Cookie is a popular children’s book that tells the tale of how, after a boy gives a cookie to a hungry mouse, the mouse then wants a glass of milk, a straw, a napkin, and so forth. Eventually, the mouse’s requests bring him and the boy full circle back around to asking for another glass of milk and a cookie to go with it. § Project A can’t be completed until the accounting systems and processes are integrated and updated. § Project A is impacted by incorrect pronouncements, incorrect current revenue recognition, etc. § Project A can’t be addressed because there are delays or omissions in the business’ reporting. § Accomplishing Project A is dependent on dealing with Problem B, which requires a specific resource that is not available to the company internally. § Project A is closely tied to faulty operational Process C, which needs to be corrected first before Project A can proceed efficiently. § If Project D isn’t completed, it will result in cascading fails that impact Project A, so all of these areas need to be properly addressed and integrated. These “give a mouse a cookie” scenarios point to the importance of bringing in an outsourced CFO services provider that can take a holistic view of the entire financial and operational picture – and not just a micro view of a particular project. Business leaders often don’t have enough knowledge or expertise to realize that these financial and operational impactors exist, much less the impact that they can have on an engagement with an outsourced financial professional. There is a danger in engaging an inexperienced outsourced CFO services provider that is not able to recognize these kinds of interlinked impactors that must be addressed as precursors to a particular project. If the CFO moves forward with the project without recognizing them, this may actually end up doing more harm than good – and costing significantly more money in the long run. 1. A big-picture, macro view of business and financial operations. The CFO should view things from a 30,000-foot view in order to see the entire picture and how all the different moving parts fit together. 2. Innovative thinking and problem solving. An outsourced CFO should be entrepreneurial in approach and willing to adopt outside-the-box thinking and strategies to solving problems. 3. An ability to provide customized solutions. The outsourced CFO should be able to customize appropriate solutions based on this macro view. This includes incorporating into the overall project plan any preceding and interlinked financial and/or operational impactors that are discovered when beginning the engagement. 4. A sharp focus. The outsourced CFO should specialize in one or more areas that are directly relevant to your need. 5. A high degree of relevant experience. This includes business, operational, financial and accounting expertise. Ideally, the outsourced CFO will have experience in working with companies similar to yours and in your specific industry. 6. A proactive approach. Successful business owners want to work with outsourced service providers that can offer proactive solutions, not just take orders and direction from someone else. 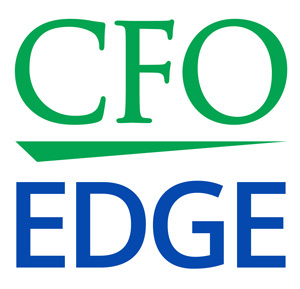 Los Angeles and Southern California business leaders sometimes hire outsourced CFO services providers to help their firms with a particular financial or operational project without realizing that there is a web of preceding and interlinked financial and/or operational impactors attached to the project. In this scenario, it’s important that the outsourced CFO be able to look at your finances and operations holistically in order to spot these impactors and incorporate them into the overall project plan. An outsourced CFO that cannot do this may end up doing more harm than good and costing significantly more money in the long run.